After the great escape, comes the great reality. 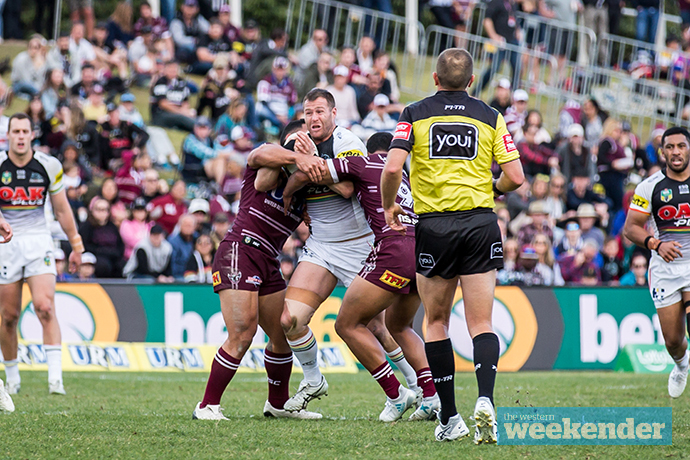 Despite Penrith’s blistering fightback to beat Manly last Saturday afternoon at Lottoland, the reality is that the side was poor for much of the contest. The victory simply masks another below par performance that the Panthers can ill afford heading into the final month of the regular competition. 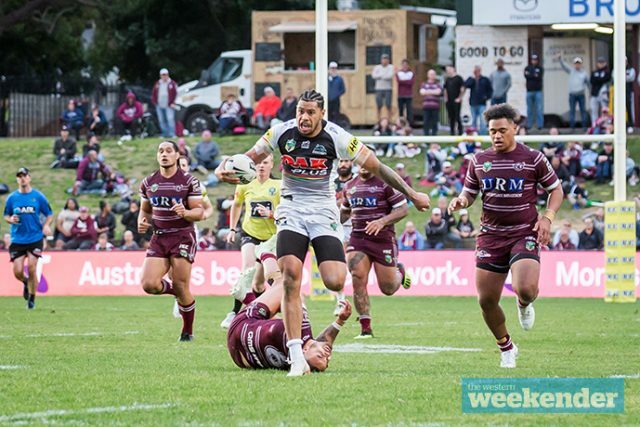 The positive news for Penrith is that a Finals spot is now assured and the side can focus on getting things right heading into the playoffs in September. This is the time of year the true contenders shine through (have a look at the Roosters and Storm) and the Panthers are yet to prove their ‘real deal’ status, but still have a chance to do so. Penrith’s next three games are against sides that won’t make the Finals, which means they have an opportunity to really find their groove ahead of the tough final two games of the regular season against the Warriors and Storm away from home. If Penrith fans are asking how their side can produce four tries in seven minutes yet only one in the 68 odd minutes prior, then Anthony Griffin must be asking himself the same question. Is it his game plan that’s not working? Quite possibly. Griffin has an exceptionally talented bunch of young kids who want to throw the ball around and chance their arm, yet you get feeling Griffin wants them to play a more conservative game and show patience. The two don’t quite click. One thing you can guarantee is that Canberra will throw the footy around on Sunday. They’ve got no reason not to now that they’re out of Finals contention, and we all know how quickly they can pile on the points when the momentum starts to shift in their favour. They were out-played by Melbourne last weekend but in the end, the green machine were their own worst enemy with a 71 per cent completion rate, 14 errors and a whopping 14-4 penalty count against them. After the wind was robbed from their sails against the Sharks a few weeks ago, it’s hard to see Canberra winning too many games in the last month of the competition, especially with the injuries they’ve got (including to inspirational skipper Jarrod Croker) and their shattered confidence. But Panthers / Raiders clashes are always intriguing and often go off-script. Who could forget the one-point thriller in the nation’s capital earlier this season or that miracle in Bathurst last year? I’m expecting plenty of points in this one, especially late in the game, but the match will be won in the first 25 minutes. It’s the early forward battle that will determine the momentum, and provide the most opportunities for whatever side shows the required desire. The likely return of Reagan Campbell-Gillard is an obvious plus for the Panthers. After the pain of missing the final two Origin games, expect a refreshed RCG to have a big few weeks. For Canberra, Aiden Sezer returns from a hamstring injury, which sends the England-bound Blake Austin out to the centres. Big hits and some exciting tries should be the order of the day. 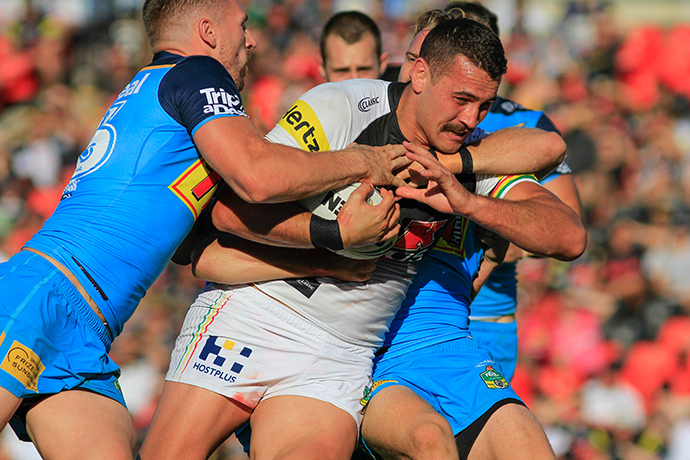 Penrith play Canberra on Sunday, August 5 from 4.10pm at Panthers Stadium.